The science of jawbone augmentation in dentistry and all of its intricacies usually becomes a topic of intense interest to older adults. Multiple losses of teeth and the increasing incidence of gingivitis and periodontitis is somewhat cumulative and affects older populations rather than younger. To learn if you’re a candidate for reconstructive bone grafting, call today to request an appointment with our Troy, MI oral surgeon. A bone graft can help support a dental implant and restore oral health. Unusual conditions can occur at younger ages that might be associated with birth defects (missing incisors – a common disorder), inadequate orthodontic treatments, developmentally malformed upper and lower jaw relationships, the classic cleft palate … and perhaps the most common … untreated tooth extractions that can create the need for a bone grafting procedure. Theoretically, all of us who have had an extraction here, an extraction there, starting around those ages where adult teeth are being removed (usually for convenience or financial reasons) may be setting the stage for future bone loss issues that we don’t focus on until later years. Socket grafts are perhaps one of the simplest bone graft treatments that researchers recommend for common and seemingly simple adult tooth extraction. More and more research shows that untreated extractions will initiate bone loss in the immediate extraction site, but can threaten adjacent bone supporting other nearby teeth. Reconstructive dentists whose practices are heavily focused on a variety of tooth replacement technologies typically have a variety of hard tissue (bone) augmentation products that can successfully treat individual areas or large expanses of a jawbone arch. The jawbone graft type and the procedure used for a particular graft treatment is determined by the location of depleted bone, amount lost, and the remaining tissue health. Like many other complex dental treatments, there is no “one size fits all” concept. The greater access to advanced technology hybrids (special applications), the more successful the outcome. Autogenous Bone: Provided by the patient and self-donated, it can be harvested from the lower jaw, iliac crest, calvarium (skull), rib, and tibia. Although autogenous grafts are considered the “gold standard” of grafting, it involves an additional surgical site. Chin block grafts are becoming a popular and extremely successful treatment. Allograft Products: Bone products that are derived from humans and provided in the form of demineralized freeze-dried bone, irradiated bone, freeze dried bone matrix, human bone ash, or fresh frozen bone. Combined with Platelet Rich Plasma (PRP), these materials serve as an excellent graft for sinus lifts and ridge-splitting techniques. Xenografts: Derived from non-human species, can include bovine porcine, and are readily available. Compounds for stimulating or accelerating tissue regeneration are often combined with grafting materials, depending on the distributor. Alloplasts: Artificial synthetic bone material that can be made of glass or ceramics. Not used as often as other products mentioned above. Nonresorbable membranes offer the feature of being able to remain in the graft site for a longer period of time (increases predictability of success), but require an additional surgery to remove the product when it is no longer needed. Resorbable membranes are probably the most popular and the most convenient because they dissolve by themselves after a few months. There is no residual of the product to remove. When bone height or width is a treatment issue, onlay bone grafts are commonly used. In some periodontitis treatment cases, chin block grafts (self-donated chin bone) or ramus grafts (bone segments removed from posterior area of the lower jaw) are used with great success. Areas of the chin bone from which bone is extracted are known to regenerate very, very quickly and provide what our oral surgeon considers to be the healthiest and best source of augmentation material. Complications involving the sinus tissues often arise from dental treatments associated with the upper arch, especially extractions and/or dental implant procedures. When diagnostic data hint at a possible sinus tissue complication, a routine sinus lift procedure is performed. Grafting materials are moved into the site, which later heals into increased bone height between the sinus cavity and bone area of the planned implant device. In situations where the implant has already been placed, a surgical point of entry can be made elsewhere, in many cases, to create the needed bone without disturbing the implant. Ideally, maxillary (upper jaw) implant sites should be evaluated closely for possible sinus cavity complications. Dr. Nazarian uses this advanced bone modification procedure that restores hope for patients who have been told they have no bone left. Thin ridges that exist on either jawbone, as a result of long-term denture use or an extended history of multiple untreated tooth extractions, can be treated with grafting procedures that split the existing bone. Specialized grafting products can then be injected or manually packed into the area of interest with great accuracy. As the specialized osteotomes (bone splitting tools) are removed, the bony ridge forms a compact seal, thereby producing a desirable environment for healthy bone tissue regeneration. After healing is completed, the grafted sites can be prepared for the final implant devices. For some patients, ridge splitting can result in the placement of a dental implant accompanied by grafting material and be fitted with an immediate load temporary restoration. 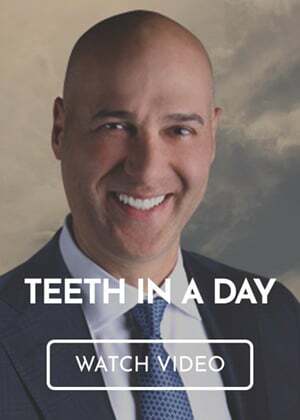 Dr. Ara Nazarian is an oral surgeon and jawbone augmentation dentist in Troy, MI. Dr. Nazarian offers jawbone graft surgery to patients who need more bone density to support implants and improve oral health. To request an appointment with the Premier Dental Center, call (248) 206-2495.